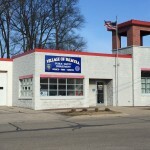 The Village of Palmyra is now taking applications for "paid per call" Firefighters and EMTS. Click Here to see the Statistics on Texting & Driving consequences! !